Is there any point even trying to keep up with television these days? Not that television isn’t worth watching; there’s so much good stuff out there it’s easy to get overwhelmed, and even at the most basic level the days of non-ratings period being a bit of a struggle is long gone. There are two brand new seasons of long-running Australian comedy series – The Family Law and Rosehaven – arriving this month alone, with the long-awaited second series of Get Krack!n arriving in early February too. But there’s television the thing people watch and increasingly there’s “television” the pop culture force you’re constantly being asked to keep up with; these days there’s a pretty big gap between the two. Even less than a decade ago there were only a handful of series audiences were expected to keep up with if they wanted to be part of the conversation about “television”; so long as you had an opinion about Mad Men or Breaking Bad you were pretty much free to spend the rest of your time watching whatever you felt like. 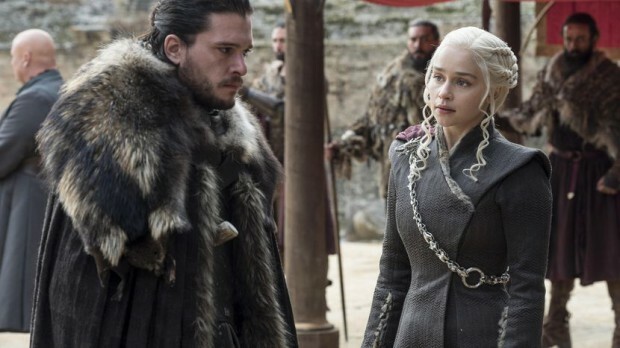 Today only really Game of Thrones operates on that level: what’s replaced those series is a seemingly endless churn of shows where the pressure is on to watch them as quickly as possible because – in part because they’re less essential – next week there’ll be a brand new show we’re all meant to be watching. If you haven’t watched Killing Eve by now, forget it; if you didn’t get time to watch the latest Black Mirror episode over the break, don’t bother. Often supposedly essential shows fall off in their second season; why did everyone stop talking about Legion? Other big series never catch on at all: remember when Benedict Cumberbatch starred in Patrick Melrose? No? And actual quality now has less to do with whether a series becomes essential than where it’s available: I was one of a handful of people who watched silly but compelling stalker rom-com You earlier this year, but it moved to Netflix at the end of the year and suddenly now it’s become worth talking about. Shows are picked up and discarded at a rapid rate, and discovering anything beyond those few series is harder and harder unless you’re really willing to go out there and look for them – which really defeats the purpose of all this technology, doesn’t it? It’s hard to know whether it’s just a shortage of standout shows or the end result of the breakup of mass audiences that has been going on for decades as broadcast television is replaced by everyone all watching individual shows at individual times. It’s a model that suits streaming services like Netflix, because it leaves viewers relying on what their algorithms serve up; so long as you keep watching something, they don’t really care what it is. But it feels like something that’s bad for television overall: movies are supposedly struggling (as if they haven’t been since the 1950s) but by bringing films out everywhere at once they still manage to be a part of the cultural conversation in a way that individual television shows increasingly aren’t. Television is becoming part of the internet: something that’s always there and most of us are watching it, but it’s increasingly hard to define exactly what it is we’re looking at when we’re staring at the screen.